Hey, everybody! This is it! I finally cracked and made a site consolidating all my Speed Racer stuff!^_^ Yeah, so welcome to my site. For those of you who are familiar with other SR things I've done, you'll find my fanfic and picture gallery are accessible from this site. You'll also find other stuff here that I've written, like "Speed Racer Episodes...That Never Made It," and my SR-themed mall directory. I also now have a message board and chat room for fans to go to, and a Japanese/English name guide (not just for characters, but for episodes, too). **July 21, 2009: I am the LAZIEST person on the planet. 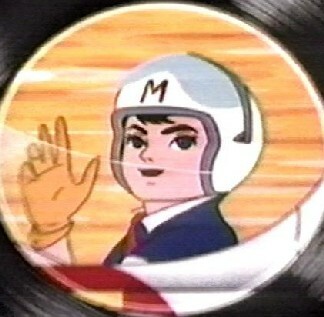 For the picture gallery, I just linked to the "Speed Racer" album on my photobucket account. Eh, it makes it a lot easier to manage all the pictures that way. SR SNES Video Game Passwords! How did I get into Speed Racer, anyway?